Rule of Thirds – position the main object at an intersection point. Intersection point is about a third to the left or right of an image (off-center). This is a standard rule in art (painting, film, photography) because asymmetry is considered appealing to the viewer. Negative Space – is space around the main subject/object. 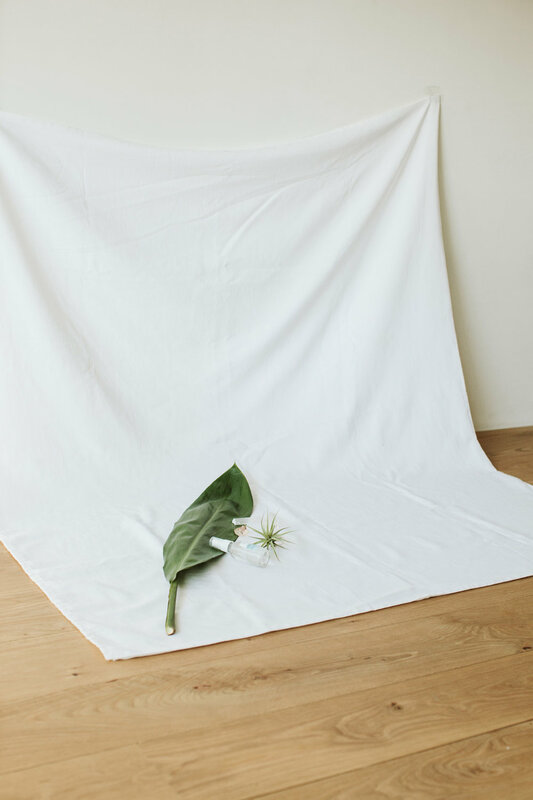 Typically for product photography and flat lays, you want a good amount of negative space. When you’re creating content for web + social media, be mindful about where this image you’re creating will be used for (your website, newsletter, social media). Lines – can help guide the viewer to the main subject/object in a scene. Lines can be curved, diagonal, etc. and enhances image’s composition. Symmetry & Patterns – similar to lines can help create a compelling image. Balance – frame the object so there’s equal negative space around. Angles – Flat lays are usually shot from above. Be creative and try shooting it up-close or at a 45 degree angle. You are not restricted to shoot at the same spot, so feel free to move the camera and yourself to get a different perspective. Note that these are guidelines and are not rule of thumb. We invite you to use your creative intuition to create content that aligns with your visual story. Color Theory – in photography, is combining colors so it is visually harmonious. Complimentary colors - 2 colors that are directly opposite from one another from the color wheel. Analogous – colors next to each other. Monochromatic – using the same colors. colors are associated to specific concepts. • Red = passion, sensitivity, and love. • Blue = trustworthy, calm, depth, and stability. • Yellow = joy, happiness, intellect, and energy. • Green = growth, harmony, and life. Exposure is how light or dark an image will appear captured by camera. iPhone cameras automatically adjusts to create a proper exposure. There are adjustments to tweak exposure using the iPhone by tapping to the screen to increase / decrease exposure. For digital cameras, there is Aperture (f stop), ISO, and Shutter Speed that creates the ‘Exposure Triangle’ that can be manually set to get a proper exposure. The most important thing to note is that Aperture affects DEPTH OF FIELD (distance between foreground and background). The greater the ‘depth of field’ or ‘bokeh’ (blurry background), the more realistic and appealing an image. This is ideal for portrait shots. However, you might want the whole scene to be focused (landscapes). You can use ‘Portrait Mode’ on iPhone to create a depth of field effect. Natural light to creating content is free and available everyday. You can practice to see what lighting works best for your authentic content. In time you will learn to notice the world as visually stimulating. Time of Day – When shooting outdoors, best lighting is in the morning or an hour before sunset called the “golden hour”. Depending on the mood you would like to evoke through an image, you can choose to shoot during these times or mid-day when there is ‘hard light’ that creates more contrast + shadows. Shooting indoors – When shooting indoors, use window light to add light to the subject. Subjects can face the window light or have light on either side. Shadows – the use of shadows can create a beautiful component to an image. Use plant shadows or buildings/object that create natural shadows depending on the time of day. Reflections –Water, glass, mirrors, crystals, and other objects can create reflections and different components that add interesting element to the image. - Be mindful of where the image will be shared. Use Portrait mode, landscape, square, etc. Step 1) Be Mindful of your Brand Intention and Story. What objects are you shooting? Tip: Refer to a mood board or reference images for inspiration. How does this Flay Lay relate to your brand and story? How can you lay out your objects so that it’s visually appealing? Tip: Use apps and editing tools like Afterlight or VSCO to edit your shots. Creating compelling content online takes practice if you are a beginner photographer or content creator. Carve out time to create, learn and review your past work.